Every personality type tends to feel misunderstood in one way or another. Some feel misunderstood because of how they see the world, others feel like the way they make decisions isn’t respected. 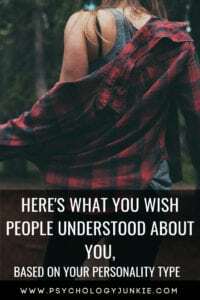 What is something you wish people understood about you? While there may be many things, here is just one thing that you might really wish people could “get”. You really do have feelings and care deeply about people. You just don’t show it all the time. That Christmas present you got that you didn’t get all bubbly and excitable about? It meant a lot to you! It just feels awkward to force emotions outwardly. It feels phony, and that’s the last thing you want to be. Underneath your reserved demeanor is a heart that cares deeply (and a mind full of quirky, offbeat jokes and quips). You care about people. A lot. When you do nice things for others it’s not because you desperately need to be liked or you’re seeking something in return. You’re wired to notice the details of what people love and you try to do little things to brighten their day. This makes you happy, but it’s not your complete identity. You’re focused, hard-working, thoughtful, and funny (if you’re comfortable enough to let that side of you show!). Sometimes people just write you off as a “do-gooder” and while that’s a big part of your personality, it’s certainly not all there is. Sometimes you’re accused of being bossy or pushy, but you’re standards are just as high for yourself as they are for others. You work hard and it pays off, and you want others to enjoy those same rewards. How can people grow if others don’t believe in them and encourage them to make the most of their lives? Isn’t efficiency going to make life smoother for everyone? Your actions stem from a desire to make the environment more effective for everyone – to meet everyone’s needs. You wish people would see your intentions and not just label you a “control freak” because you have high standards. You care deeply for the people around you and you are extremely detail-oriented. You notice the small things that make people happy and the little nuances that make your environment pleasant and comfortable. You wish people would understand that you’re not trying to be meddling when you ask them questions about their life, that you just want to “get” them and understand where they’re coming from. You also wish people would notice those little details you take care of to make their life more enjoyable. Sometimes people mistake your reserved, cool demeanor for coldness. You show you care through actions – you’ll troubleshoot something for someone you care about, help them out with a project, or take them out for an adventure. You need your private time to be the best version of yourself you can be, but it doesn’t mean you don’t care. You can be fiercely loyal and devoted to the people you love – but you’re unlikely to get all gushy about it. Just because you don’t outwardly express all your emotions, it doesn’t mean you don’t have them. You feel things intensely and deeply and you wish people would stop confusing this with weakness. Yes, you are sensitive – but just as someone can be sensitive to logic and therefore notice loopholes and flaws, you are sensitive to authenticity, morality, and emotions. This makes you skilled at assessing people’s intentions and usually very emotionally intelligent. You’re also no coward – you don’t mind getting your hands dirty if it means making a difference in the world. This is likely why your type is largely represented in emergency medical fields. You don’t see the point in “crying over spilled milk”. You are resourceful and proactive and sometimes this gets confused for being shallow or uncaring. You do feel emotions, you do care for people – but if something goes wrong, you’re going to be trying to figure out how to FIX it. Wallowing in the emotions of what went wrong might only make things worse. And if there’s no way to fix a problem, you try to move onto another opportunity. Your goal is to optimize whatever resources you have to make the most of any situation. This means you’re less emotionally affected than many, but also more energetic and level-headed. People tend to judge you based only on your fun-loving, adventurous personality. You might feel like people expect you to be the requisite “party animal” or to be happy-go-lucky all the time. Unfortunately, this can leave you feeling lonely or stereotyped. You have deeper feelings and a stronger sense of purpose than many people realize. Sometimes you’re feeling down and you want someone to lift your spirits but everybody expects you to be the happy one all the time. You wish people understood that not only is there more to you than the fun-loving, spontaneous individual they know, but you need your friends to prove that they care about you even on the bad days. People misunderstand your motivations and feelings far too often. Because you are notoriously stoic and don’t show a lot of facial expression people can think you dislike them or are angry when you’re really quite calm. People also tend to think you’re mean or uncaring when you point out errors in their logic or plan, but to you, that’s helpful. Just as a feeling person would want someone to show empathy to them, a thinking type like yourself wants people to show them logical solutions and loopholes. When you see someone struggling and you know there’s a much more efficient way for them to do things, of course you want to point it out. It frustrates you when this is met with offense or you’re labeled a “know-it-all”. You tend to get stuck in a lot of one-sided relationships. As a highly empathetic individual who can see almost anyone’s perspective, you tend to be a veritable dumping ground for everyone’s emotions and baggage. This can be exhausting and sometimes you feel the need to disappear completely from the world outside. This inevitably calls into question your loyalty, and you wish people would just understand that while you care, you desperately need quiet, peace, and a chance to sort out your own life. It doesn’t mean you don’t care, it just means you’re trying to build up your energy so you can be a better friend (and human) in the end. People misunderstand your motives and feelings on a regular basis. Your directness and brisk, logical nature can be misconstrued as meanness to others. You wish your real intentions could be seen and that people would realize your words come from a place of genuine concern. You can see the end results of things easily, and you don’t see why anyone would want to waste their time worrying about details or feelings that will get in the way of getting what they want. You wish people could realize that there is more to you than what’s on the surface. Yes, you’re friendly and you feel the emotions of people around you in a scarily empathic way. But sometimes you get so wrapped up in taking care of other people, in feeling those emotions, that you leave yourself completely out of the picture. Sometimes you come home to an empty room and wonder, “who am I really?” because you’ve taken on so many hurts/wants/feelings of other people. Sometimes you wish someone would come along and talk to you about your ideas, visions, future hopes and desires and the things you think about and ponder when you’re alone. You wish people could see the elegance of your inner ideas instead of asking for simplistic, condensed versions of your ideas. In your mind you have theories and solutions that are complex and intricate, but when you try to get them out into the world you’re often met with confusion rather than understanding. As an introverted thinker, your inner world is vast and detailed, full of logical truths, and data organized in the most precise locations. Yet, bringing all that data into the world in a simplistic way can be frustrating. You wish someone would just “get it” for once, or at least give you the time to explain in your own words. People often think of you as soft-spoken and over-sensitive. They don’t see the vivid universes, visions, and ideals that live inside your mind. They don’t see that you’re somebody who looks past materialistic goals to fight for your belief in what’s right. You wish somebody would come along and ask you about your imagination, your hopes, the kind of world you want to see someday. You wish people would understand that your sensitivity gives you compassion for the underdogs of the world. Your soft-spoken nature isn’t a sign that you are weak, but a sign that often you do more listening than talking, and maybe you’re just waiting for the right person to come along and ask you about the magic inside your mind. You’re not someone who gets too hung up on being understood or misunderstood. You’re your own person with your own ideas. That said, sometimes you wish people would stop getting so offended by unimportant things. For example, when you debate an existing idea by pointing out inaccuracies or new angles and contexts, people can think you’re just trying to cause a problem rather than trying to find truth. Your unconventional humor can also cause offense. Sometimes you wish people would realize that not everything has to be sugar-coated to be useful and not everything has to be traditional to be right. Yes, you’re fun-loving and friendly and usually enthusiastic. But you wish people understood that you want to go deeper in conversation and ideas than most people are willing to go. You don’t really care about the latest celebrity gossip unless said celebrity has a theory about some amazing future possibility. You don’t really care so much about clothes and cars and material things. You want to talk meaning of life stuff -where do people see themselves in 15 years? Is life only on this planet? No, really? What psychological wounds do people have? How can we turn traditions on their head to make life better and more authentic? Are these statements accurate for you? Do you have any thoughts you’d like to add? Let us know in the comments. Want to join me (Susan Storm) on Facebook to get access to more articles? Follow me here! Hi!! 🙂 Nice to meet you! I’m an INFP but I definitely relate more to the INFJ one. I’m mostly quite tired of the INFP stereotype that we’re “illogical, oversensitive and soft-spoken”. If I’m being honest, I really don’t care about my feelings and I am actually quite stoic and unemotional. I’m in law school, a career where debate and logical prowess is a must, so there’s no reason to believe that INFPs are incapable of rational thought and are unable to establish logical reasons for their values. 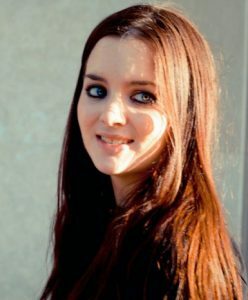 I really love your articles and your posts! I completely agree! Too many people associate high-feeling preference for an inability to think logically or rationally. In MBTI® terms, feeling and thinking don’t apply to intellect. Both types can be just as intelligent and in fact I’ve come across many INFPs who work in fields where logical analysis is paramount! You’re awesome, Ms. Storm! I’m an INTP and I would love to “tell the truth, the whole truth and nothing but the truth”, but it’s bloody impossible, and nobody is willing to listen to all that anyway.